Verna Sigg was appointed to the St. Vrain and Left Hand Water Conservancy District (“District”) Board of Directors on December 9, 2013. 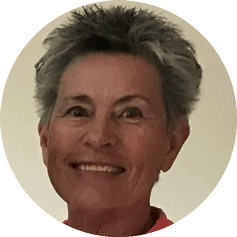 Verna was born and raised on a farm near Hudson, Colorado, and attended Colorado State University and the University of Colorado. From 1972 until 2000 Verna worked with Rocky Mountain Consultants, Inc. primarily in the field of water rights for governmental, municipal, agricultural, and industrial clients. Projects included every aspect of water rights, from evaluations to support water rights applications in Water Court to estimates of value of existing water rights. Similar work was performed for TetraTech, until retirement in 2005. Verna and her husband live southwest of Berthoud and irrigate under the Highland Ditch system. They have two sons and 5 grandchildren.